After the software is downloaded it will detect whether a version of SQL Server installed on the system or currently in use by another program. Login to the software to begin this process. The software will install SQL Server and create a database for the software to transfer information. • If you are using Windows XP or 7, it will install SQL Server 2005. • If you are using Windows 8, it will install SQL Server 2008. Note: if you are using a program that is already utilizing the SQL Server, the software will still need to create a database for itself. This is only applicable if you are using Shiplark or Shiplark in a multi-user capacity and you are installing Shiplark or Shiplark on a computer that is within the network of the admin computer. 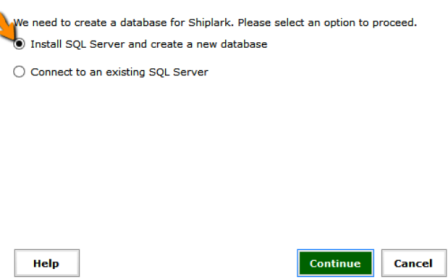 Click here to view how to use Shiplark/Shiplark with multiple users. Click Continue to download and install the SQL Server. 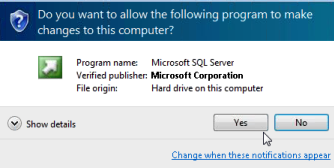 The SQL server will be downloaded and you will be prompted to install the SQL Server on your computer. 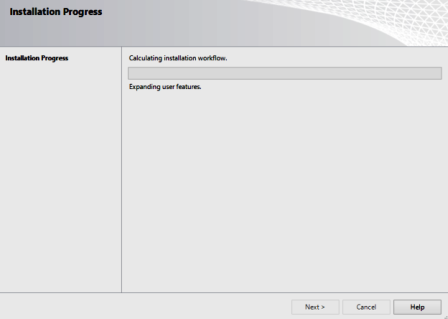 Click Yes to begin the installation. After the SQL installation is complete, you will be taken directly to the Manage stores area where you can Add a new store within Shiplark. After this has been done, upon login, you will proceed directly to the dashboard.